Gregg Adams, M.D., Chief of Surgery at Santa Clara Valley Medical Center is on a mission to keep you alive. 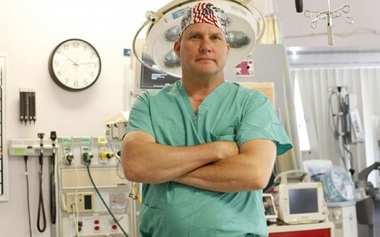 For the faint of heart, his job responsibilities would seem daunting; manage over 130 surgeons, maintain VMCs high standards for trauma services and disaster response and – oh yeah – scrub in for between 200 to 400 surgical procedures each year. VMC Foundation Executive DirectorChris Wilder sat down to talk with Gregg about his career, his day-today-..